These unique handmade products with cultural identity “dense”, the craft villages in Ha Giang become the ideal destination for tourists. Praise from long hours has made a unique culture for highland peoples in general and Ha Giang Stone Plateau in particular. Thus, visited the village in the traditional Ho Quang Phin commune, Sung Trai and Van Chai, Dong Van district is not to be missed experience for many visitors. Travel to Ha Giang, tourists must not forget the jewelry sparkling silver highlights on the indigo colored shirt, black women’s Knives as necklace, earrings, soap … That area are products are born from the traditional silver carving village in Hoang Su Phi district, Xin Man, Vi Xuyen. 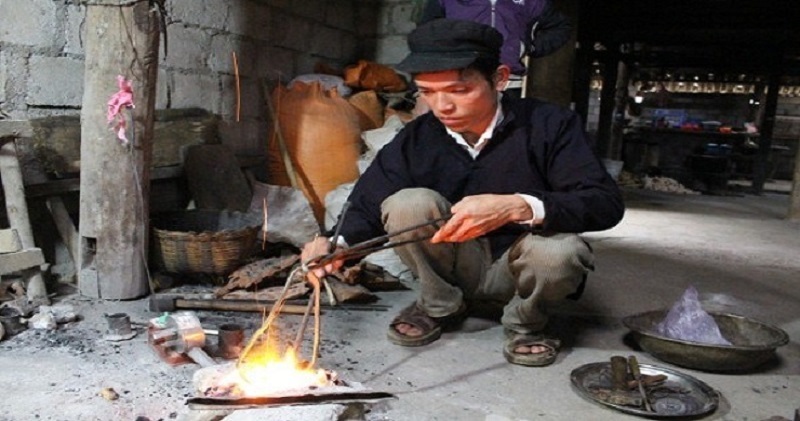 Silver carving is the traditional work of Dzao people living in Ha Giang, which has hundred years of history. 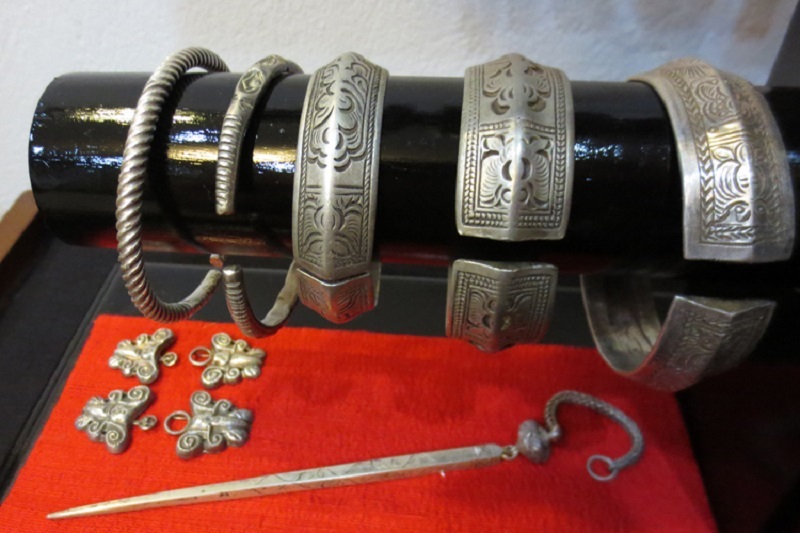 Silver products of Dzao people are of variable: ring, bracelet, gad, bells, necklaces, earrings, etc. These masterpieces stand out from the rest due to the sophisticated silver carving skill of Dzao people in term of shape, appearance, design and unique carved patterns. Silver products of Dzao people are highly appreciated by other ethnic minorities, and Kinh people, as well as foreign tourists. Casual clothes of a Dzao woman consist of much silver jewelry. When a young woman gets married, their parents buy her a full set of silver jewelry, including necklace, earrings, ring, etc which are amounted for roughly 4kg of silver. Those jewelry are all carved with sophisticated symbols that bears strongly the culture of the local people.